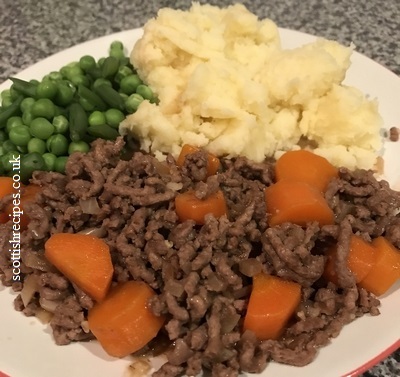 This Mince and Tatties Recipe is our favourite meal and Scotland's favourite cartoon character, Oor Wullie, is also a great fan. It's Braw! Some argue it is not healthy whilst others think it is relatively healthy if eaten as part of a balanced diet and good quality ingredients are used. Try using low fat mince, quorn or draining as much of the fat as possible after browning. You may also like to read our Vegetarian Mince and Tatties Recipe which is much higher in fibre and vegetables. Rene La Sagne declares in his book The Complete Book of Mince that he has never been able to enjoy it in Edinburgh because when he visits friends they have already had their tea! The traditional Scottish mince and tatties recipe below has vegetables added so those eating it get a few portions of their daily minimum of five pieces of fruit or vegetables. This is particularly handy for getting children to eat vegetables because they are disguised within the dish and can easily be liquidised and added when boiling the meat. We suggest chopping the onions and carrots really thinly or even better liquidising the veg so that it blends into the gravy mixture. Optional ingredients: A tablespoon of Worcester sauce and a white pudding (known as mince and mealies). If a thicker stock is needed, then add cornflour or plain flour during the cooking. Some cooks like to add herbs like thyme or rosemary which should be added about ten minutes before the end of cooking. Some chefs like to serve mince and tatties with neeps. More traditional Scots chefs will add some oatmeal at the beginning. This will serve a family of four. Peel the potatoes and carrots. Make your mashed potatoes as normal. We like to chop potatoes into thin cubes and bring to the boil and then simmer for about thirty minutes. The water is then drained and a small amount of milk and butter or margarine is added before mashing the potatoes. This can be done as the meat is cooking and the mashed tatties made ready to time with the mince being ready. The mince should be browned in a frying pan over a medium heat along with the chopped onions, unless they have been liquidised in which case they should be added later. Remove from the heat and drain any excess oil. To keep the meal low fat no lard or cooking oil should be added. Instead just fry it as it is and brown in its own oils. Though some chefs like Sue Lawrence in the book Scots Cooking: The Best Traditional and Contemporary Scottish Recipes has a meal that uses a little dripping when browning. Her ingredients include much the same items as above but also the addition of marmite and mushroom ketchup. Add the liquidised carrots and or onions and chopped carrots depending on your own preference. Add the stock or gravy mixture and return to the heat. Bring to the boil and then turn down the heat and gently simmer for about thirty minutes. If you are using a butcher's bought white pudding (Mealie pudding) or haggis then add it at the boiling and simmering stage. It should remain intact and cook thoroughly but if all the family enjoy the taste of white puddings and haggis then split the skin and stir throughout the mixture. Once the mince is cooked serve with the mashed potato and any additional vegetables. An oatcake or two or even a separate helping of skirlie makes it an even greater Scottish dish. Many people like to add dumplings. The Book Maw Broon's Cookbook has another traditional Scottish mince and tatties recipe which suggests cooking it for an hour for greater flavour. Buy Maw Broon's Cookbook at a discounted price and with free delivery available. Put the raw meat into a pan and add just enough water to cover the meat. Bring it to the boil and then stir and strain into a jug. The excess fat and blood can then be disposed off, down the sink with a squirt of washing up liquid to help prevent clogged drains. She also recommends putting the cooked mince into an oven-proof dish (rectangular for ease of dividing when children are present and eyeing the proportions served) and, topping with the mash for a non-shepherd's pie, baked in a hot oven till the forked up mash has crispy brown peaks as an alternative. It's not just humans who love this dish. In winter 2009 the Asian short clawed Otters at Loch Lomond Sae Life Centre, Scotland were tempted out of their lair during deep winter snows and frost by plates of mince and tatties. The otters, Mona, Shona and Rhona normally eat raw fish, beef, chicken, vegetables and monkey nuts. It is a popular dish throughout Scotland and enjoyed throughout the world by many families. 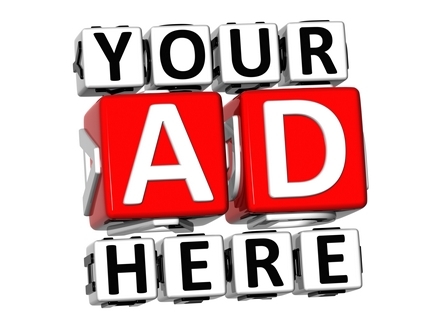 It is relatively cheap to make and fills the hungriest of tummies. The book Scots Cooking: The Best Traditional and Contemporary Scottish Recipes by Sue Lawrence jokes that a common question asked of Scotsmen about their intended bride was Can she cook mince! because it was served at lest three times a week in most households. See also our Vegetarian Mince and Tatties Recipe and our Mince Round page.